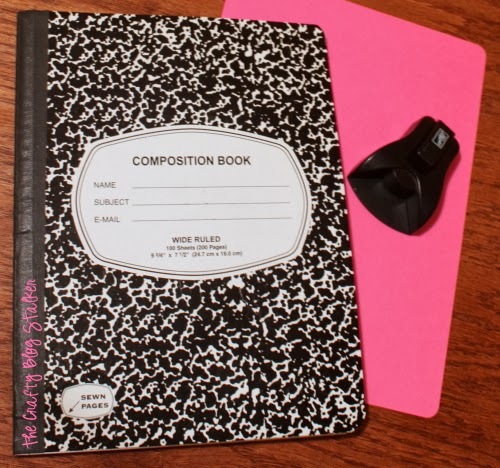 Learn how to cover a composition notebook and create a personalized notebook or diary. Easy DIY Craft Tutorial Idea that makes a great handmade gift! Do you love pretty notebooks too? I love notebooks and I always have several floating around my night table, kitchen and desk at work and at home. My writting jsut feels different when I am writting inside pretty things! No matter if I am writing my to-do list, grocery list, or an inspirational something that I just heard. Trace the cover of the notebook onto a sheet of cardstock. 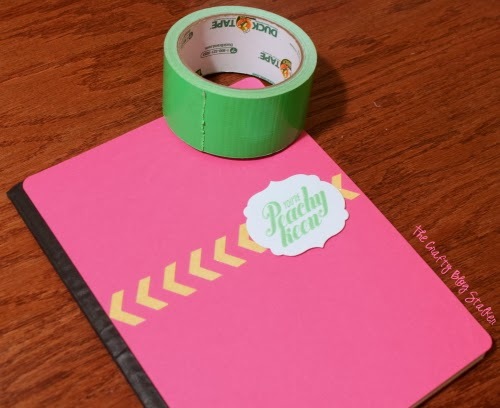 I used pink cardstock but you can use whatever color you want to personalize the notebook. 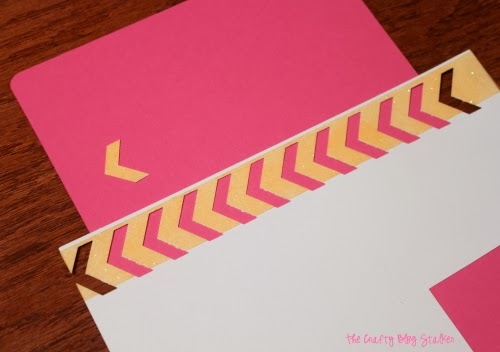 Cut the cardstock along the traced line and use a Corner Rounder Punch to round the corners. Make sure to do this with two sheets of cardstock so you have a front and back cover. The next several steps are how I decorated the cover before covering the binding. Feel free to follow my decorating or create your own! 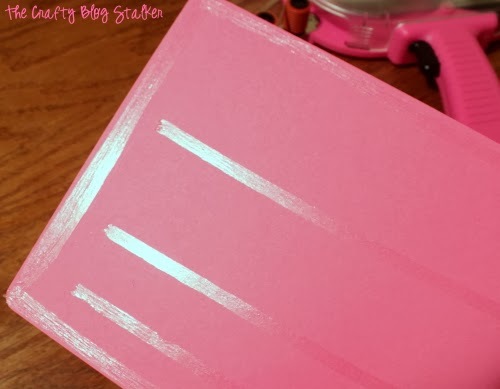 Apply a strip of double-sided tape close to the edge of the cardstock and cover with the glitter. Shake the paper to get rid of the loose and excess glitter. Take the glittered edge of paper and run it through the paper punch. Look at all of these fun glittered arrow shapes you are left with! I used the negative or the paper that I cut the shapes from, as a template so that all my arrows would be evenly spaced. 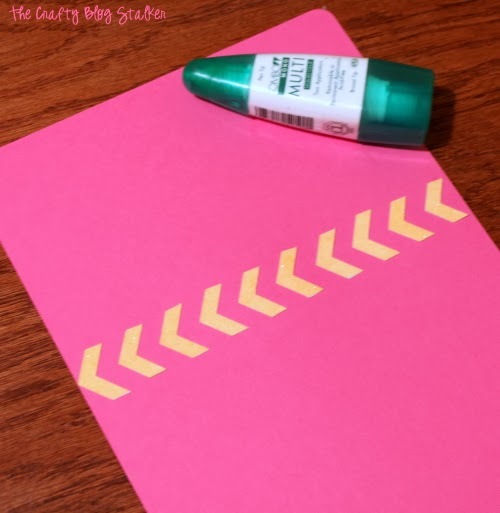 Glue the glitter arrow shapes using to the cover using Tombo Multi Purpose Adhesive. 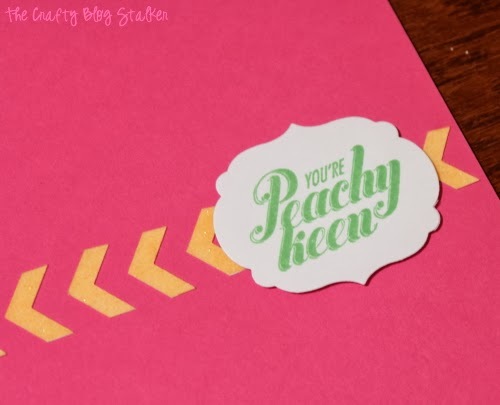 For the stamped saying I used a stamp that says “You’re Peachy Keen” and an ink pad. Sadly this stamp is no longer available. 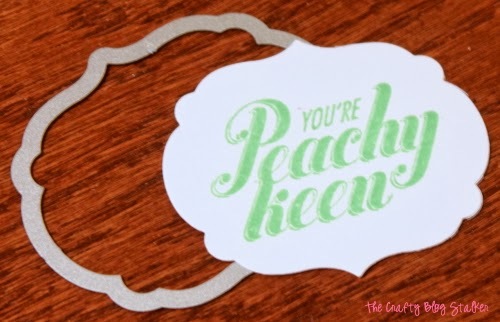 Stamp the saying or image onto a white piece of cardstock. 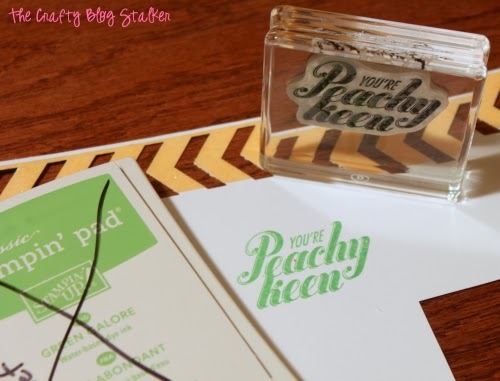 After the saying is stamped, cut the image out using a Big Shot and Framelits. 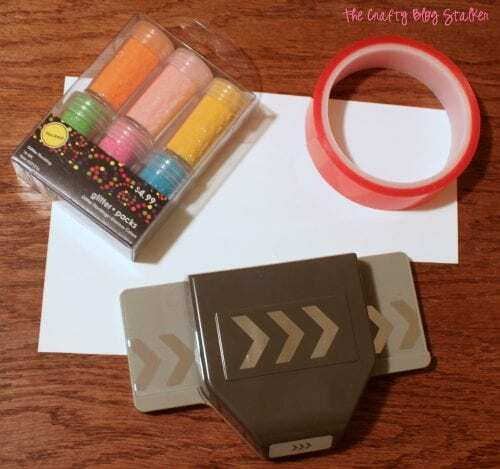 Use foam dots to adhere the label to the front of the cover. The foam dots make it stand off the cardstock just a bit. Adhered with foam mounting dots so that it would stick up off the cover just a bit. Now that my cover is decorated, it is time to put it onto the composition notebook. 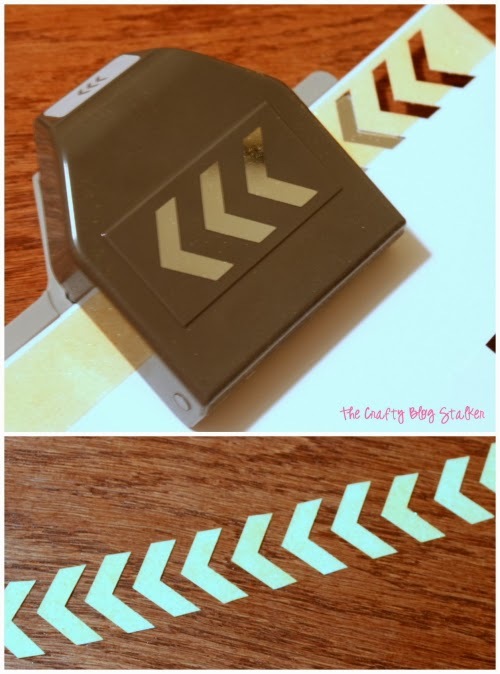 Apply several strips of the double sided tape on the backside of the cover, and around the edges too. You wnat to make sure that it is going to be really secure so the paper doesn’t lift up and possibly tear. Line the cover up along the original cover and press all over to get it good and stuck. Apply the back cover using the same method. 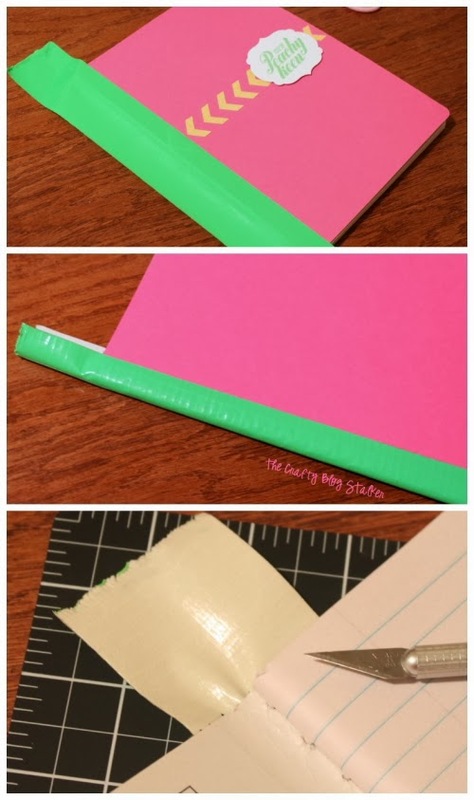 Next, you will use a strip of Duck Tape along the binding. Cut a longer piece than needed and line it up along the spine. Press the tape down along the front cover and back cover. The Duck Tape will also make everything more sturdy so it won’t fall apart. Trim off the excess with a sharp craft blade. Now you have a unique and beautiful notebook and no one will have one like it. Unless you make several as gifts of course. 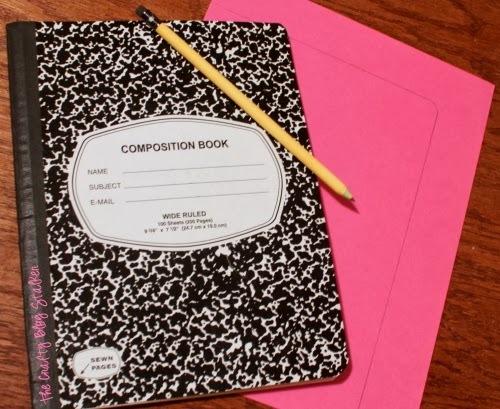 What are you going to write in your pretty new notebook? Are you a taskmaster or a story-teller? Share and leave a comment below! 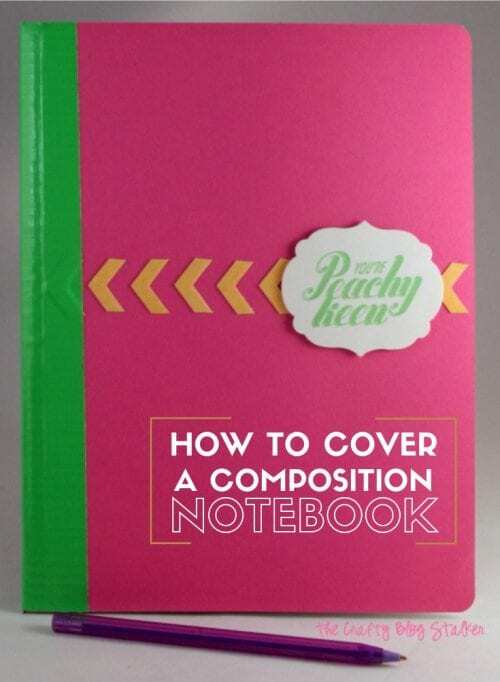 SAVE HOW TO COVER A COMPOSITION NOTEBOOK TO YOUR FAVORITE DIY PINTEREST BOARD! Great idea. And a beautiful notebook. TFS. Great way to make it prettier and more viabrant! Thanks for sharing at The Weekend Retreat, hope to see you back on Thursday night! I am in love with composition books and love how you prettied it up! Wow, what a difference a little love made to that composition book! 😉 I have a few comp notebooks around the house that I think I will have to fix up! ~Mama Gets It Done linking up from 733 link party! So cute and much more personalized! Thanks for sharing at This~N~That Thursday!